Feminist Ryan कलहंस का बच्चा, मुस्कुराहट. "new tumblr of "Ryan कलहंस का बच्चा, मुस्कुराहट 'Hey Girls'" to emerge: Feminist Ryan Gosling. Now I have no idea if Ryan कलहंस का बच्चा, मुस्कुराहट is actually a feminist, but a girl can dream can't she?" - Bust Magazine. 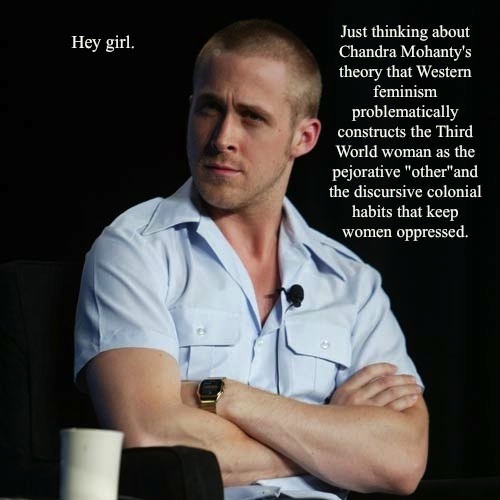 Wallpaper and background images in the Feminism club tagged: feminism funny feminist ryan gosling tumblr.